If you’re looking for a loyal companion, look no further than Jake the Dog! He’s ready to join you for your explorations with Bif Bang Pow!’s Adventure Time Wrap Around Jake Tin Tote! The tin tote, measuring 8 5/8-inches wide x 6 3/4-inches tall x 4-inches deep, illustrates Jake’s stretchy powers as he wraps himself all around it. 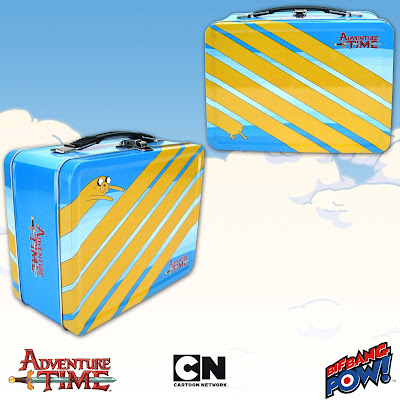 It’s the perfect place to store your favorite Adventure Time collectibles and keepsakes. 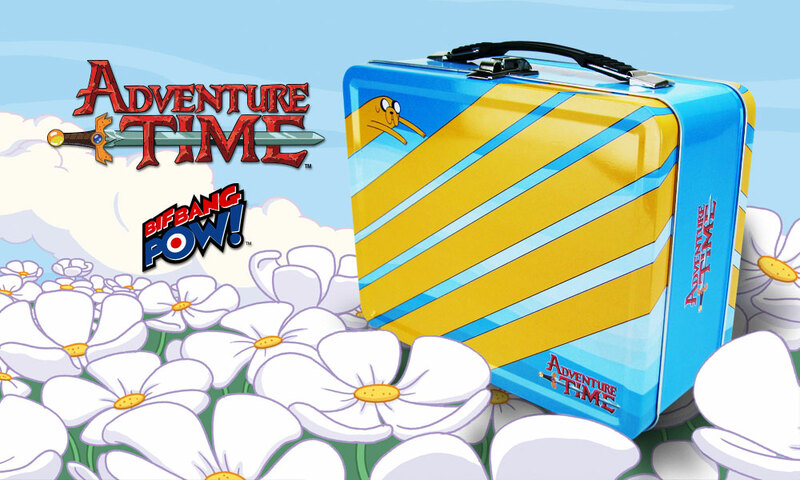 With this in hand and Jake by your side, the adventures will never end! 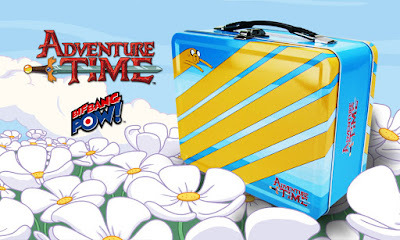 This wild tin tote is currently available for pre-order at Entertainment Earth and expected to arrive in October 2015.